May 21, 2014. In a brief statement in April 2014, Chinese Premier Li Keqiang affirmed the country’s plans to reform rural healthcare in China. The new policies are set to expand and in some cases, radically overhaul access to medical services for rural dwellers, and affect some 900 million Chinese citizens. Its smooth implementation and success will be no easy feat. This definite overhaul of China’s healthcare system presents both opportunities as well as challenges for pharmaceutical and healthcare companies. According to Xinhua News Agency, the central government plans to increase the push for rural residents to turn to county-level hospitals within their respective catchment areas, and expedite the changes in different pharmaceutical market regulations for county-level health centers. To ascertain both the potential medium-term and long-term impact on industry players, it is critical to first gain an overall understanding of the planned reforms and their area of focus. 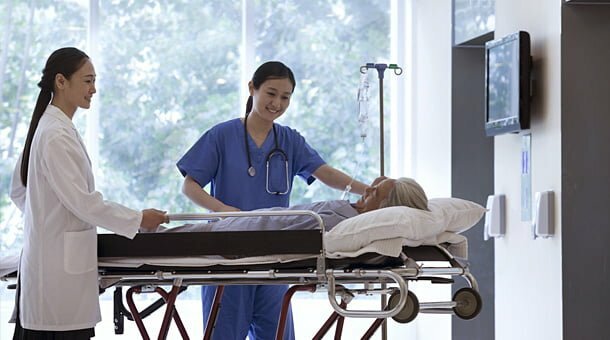 China’s newly released policy plan entitled “Comprehensive reform of county-level public hospitals” acts as an expansion of the country’s first major healthcare reforms called “Deepen health care system reforms” originally published in 2009. The first plan set a long-term goal of providing universal health care by 2020, which led to public spending in the sector increasing to CNY 127 billion from 2009 to 2011. This growth was made possible through insurance premium subsidies and community healthcare infrastructure investments. According to Xinhua, a total of CNY 3 trillion (USD 488 million) has been invested in the health care sector since the reform was initiated. As a result of the first reform plan introduced in 2009, China achieved a basic insurance coverage rate of 95 percent across the country. Additionally, a study conducted by Horizon Research in 2013 found that the share of out-of-pocket spending had fallen from 56 percent to 36 percent. However, the scope of the insurance coverage has been criticized for being somewhat limited with some sources estimating that the average reimbursement rate is as low as 44 percent for rural residents. As the reforms came on line, demand for healthcare in the country also surged, with Horizon’s findings indicating that hospital bed utilization increased from 36 percent to 88 percent between 2009 and 2013. With the shortcomings of the developing insurance system highlighted and the increase in demand for healthcare, it became evident that further reforms were necessary to ensure the new sector continues to improve. Public spending is subsequently set to increase in the country, with some analysts estimating that health care spending is to grow to USD 1 trillion by 2020. A key feature of the 2014 plan is the expansion of the county-level pilot hospital initiative. Following the rollout of the 2009 set of reforms, 311 county-level hospitals were designated as pilot hospitals and changes to finance, management and human resources functions were undertaken in the hope of increasing capacity by 2015. This initiative will now be accelerated with the number of hospitals included in the pilot scheme increased to over 1,000, covering 50 percent of China’s counties. The government has also emphasized the need for more effective regulatory mechanisms and better personnel training functions related to these pilot hospitals. One key area of focus for hospital reform is the overreliance of hospitals on medication fees as a source of revenue. These currently account for around 45 percent of total hospital revenues, according to Forbes. The government argues that as a result, the cost of medication has become too high, while total health care costs increasing at around 10 percent each year. In order to keep medication prices lower, the government is to increase subsidies to county-level hospitals. The National Bureau of Asian Research argues that with overheads in hospitals continuing to increase, coupled with widening budgets shortfalls, the government will struggle to control this problem. The government is also expected to expand the scope of its 2009 Essential Drug List (EDL). The establishment of a list of around 300 medications deemed essential for basic disease prevention and treatment was part of an initiative, which would result in hospitals selling essential drugs at a price set by the regional or central government with a zero-profit margin. Although Horizon found that just 2 percent of the government’s budget had been used for this initiative following the 2009 reforms, recent reports suggest that the EDL could be expanded to a list of 800, following the implementation of the new reforms. Pharmaceutical companies will be watching how the reform plans are implemented. As hospital capacity increases, so will demand. The plans could also lead to further opportunities with the development of private hospitals and clinics. However, there also remains the potential for challenges to arise, especially in light of greater scrutiny of multinational pharmaceutical companies following the recent GSK bribery scandal. Although major international pharmaceutical companies remained largely unaffected by the EDL until now, if it is to be expanded to a list of 800 and more effectively implemented, then these companies may need to reconsider their approach to the Chinese market. In order to preserve their market share, particularly with regards to the volume drug sector, these companies may need to consider alternative commercial models in the long-term, which could include joint venture projects or local partnerships, a contract sales model or a more extensive distribution model. China’s medical device sector has been considered a market of strong potential for investors in recent years, with RnR Market Research estimating that the industry will be worth USD 53.5 billion in 2020, more than double its value estimate for 2012 of USD 20 billion. The sector’s ability to realize this potential growth will be not only dependent on the successful implementation of the county-hospital reform plan, but also on the recently announced revised version of the Regulation on the Supervision and Administration of Medical Devices, due to come into effect from June 2014. The county-hospital reform provides clear opportunities for medical device companies. The expanded pilot hospital program will require more hospitals to purchase high-quality medical equipment, thereby potentially increasing industry demand significantly in the country. Previously, the county hospital pilot system procurement process had been more beneficial to domestic makers due to a more simplified “medical procedure expense”, which could not be applied to imported devices. It is likely that this system may change as the new reforms are implemented and demand for new devices increases, and it therefore vital that device importers, in particular, remain up to date with any new developments. In spite of this potential opportunity, challenges still exist. One potential concern for device makers is shift toward a centralized procurement process for new devices, with increased influence from state and provincial organs, possibly limiting the purchases of some devices. According to the newly revised regulation on supervision and administration of medical devices, related investors can expect a streamlined approvals system to be implemented for some of their products that are deemed to be “˜innovative’. This is set to boost the domestic sector, which will also receive a further RMB 1.5 billion in funding. For multinationals, a shorter wait can be expected for product approval from June. However, joint ventures and partnerships will remain an important administrative tool for multinationals looking to expand distribution of their products in China. In the short-term, based on economic reforms already made, it appears evident that the current government administration aims to leave its mark and we can therefore expect prompt action on the reform plan. It is therefore vital that investors in the related industries continue to monitor China’s situation closely, with extra attention to be paid to the expansion of the county hospital pilot scheme and the renewed commitment to the EDL system, and changes to the administrative system.